It has been just shy of two years since my mate Trevor passed away. We were riding together when he was fatally struck by a truck. Ever since then, my passion towards cycling hasn't been the same. Losing the motivation and love for riding, a clean start was required to reignite the passion. Having ridden only carbon bikes in the past, the thought of changing it up and building a new bike excited me. The Ti frame manufactured in the P.R.C, branded by Curve and custom painted locally was the perfect choice for a comeback. 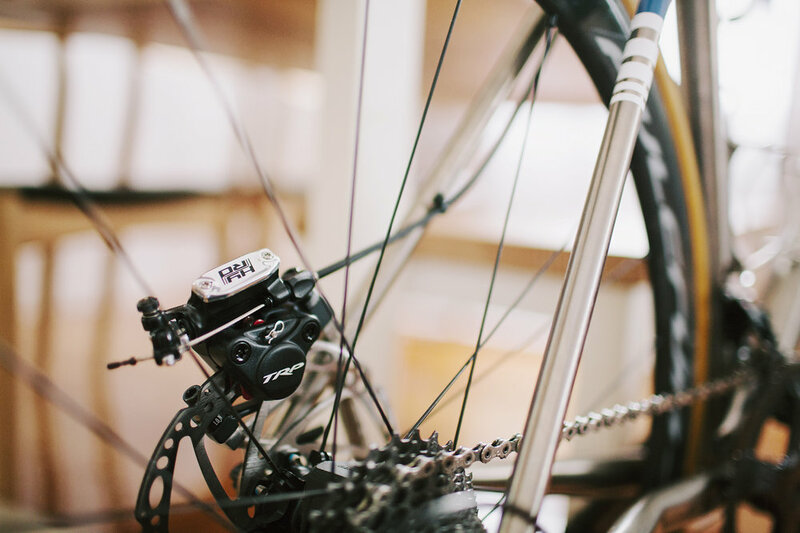 Built with a mix of Italian and American parts, it is the perfect bike to handle any terrain. Starting slowly, catching up with mates for coffee rides, riding trails with loved ones, I am hoping to fall in love with the sport again. FRAME: Curve Belgie Disc – Titanium. Ordered before Flexgoogly did her Trans Am. Sizing is a M / 52cm. PAINT: Custom painted white. Custom decals to differ from Flexgoogly. GROUPSET: Campagnolo Super Record 11 speed group, 50/34t crankset. STEM: Thomson X2 110mm -17º stem. BARS: Enve 40cm compact handlebars. WHEELS: Fulcrum Racing Quattro Carbon Discs. TYRES: Vittoria Open Corsa 25c. Shot on location at the Wolf's Lair, Words by Will, photos by Adrian.